Disney Cruise Line (DCL) has released the remainder of the 2012 itinerary, and it’s full of new ports and destinations. 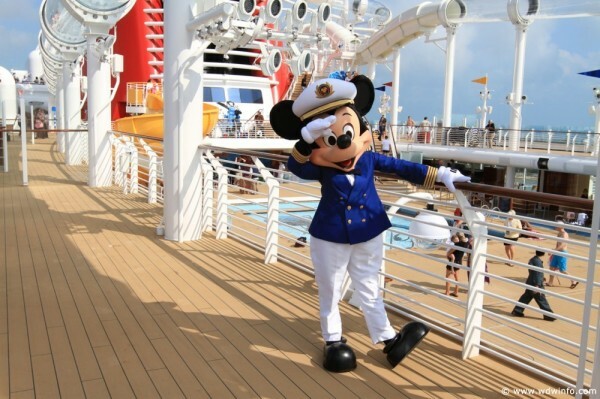 They have finally confirmed the rumor that families will be able to cruise on the Disney Magic from home ports in New York City and Galveston, Texas. The Disney Wonder will continue to summer in Alaska, but some cruises will depart from Seattle, Washington in 2012 instead of Vancouver, B.C. 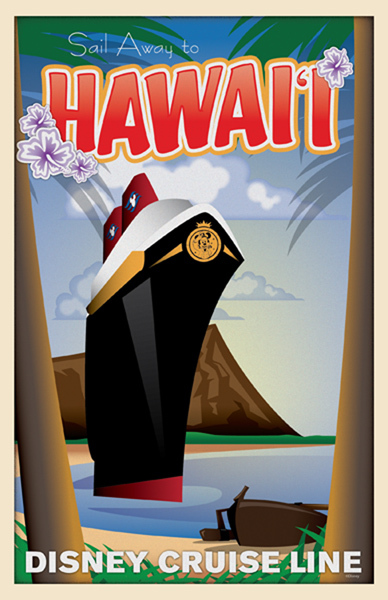 The most excitement for 2012 will come from a one-time 15 night cruise from Los Angeles to Hawaii (departing April 29, 2012 – book fast!) on the Wonder. With the addition of new destinations also comes a loss, DCL will not offer any European or Mediterranean cruises in 2012. Edited 9/23/2011: Disney Cruise Line announced the addition of a second cruise to Hawaii for 2012. Continue after the break for more details. Disney Cruise Line President Karl Holz was quoted as saying he wanted to give families more options to cruise from a variety of home ports. As we’ve all been anxiously awaiting the news, let’s get to the details. 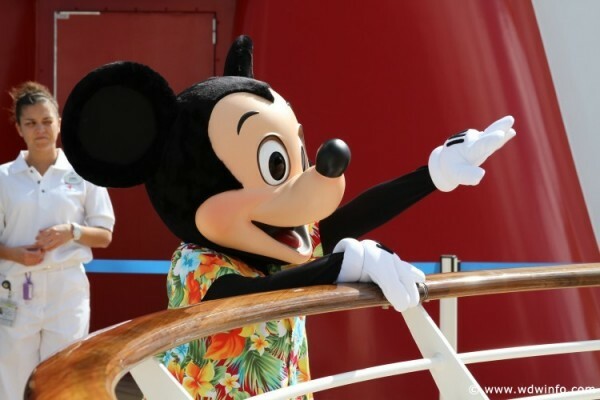 The Disney Magic will reposition from Port Canveral, FL to New York in May and alternate between 8-night cruises to the Bahamas and 5-night Canadian sailings up the New England coastline. The 8-night Bahamas sailings will begin on May 25, 2012 departing from New York and sail for 2 days at sea; stop at Nassau, Bahamas; Disney’s Private Island of Castaway Cay; Port Canaveral, FL; 2 days at sea; and returning to New York. Rates for the cruise will start at $1,240/person for an inside stateroom (based on double occupancy). The package price also includes roundtrip transportation between Port Canaveral and the Walt Disney World Resort plus a 1-day park hopper ticket to the theme parks. Additional 8-night Bahamian cruises will occur on 6/2, 6/22, 6/30, 7/20, 7/28, 8/17, and 8/25/2012. In addition, there will be three special 2-night “Cruises to Nowhere” out of New York City on June 15, July 13, and August 10th. Pricing for these short cruises exclusively at sea will start at $370/person for an inside stateroom based on double occupancy. Following the final Canada cruise in September, the Disney Magic will reposition to Galveston, TX and sail 12 seven-night Western Caribbean cruises from the Port of Galveston. The first sailing will depart Galveston on September 22, 2012 and sail for 2 days at sea; Grand Cayman; Costa Maya, Mexico; Cozumel; Mexico; 1 day at sea; and return to Galveston. Rates for the cruise will start at $840/person for an inside stateroom based on double occupancy. Additional 7-night Western Caribbean cruises will depart Galveston each Saturday from 9/29 through 12/8/2012. As previously mentioned, the Disney Wonder will offer one special 15-night cruise from Los Angeles to Hawaii. This special voyage will depart Los Angeles on April 29, 2012 and call upon the Hawaiian ports of Hilo; Kahului, Maui; Honolulu, Oahu; Nawiliwili, Kauai; and Ensenada, Mexico before returning home to Los Angeles. This cruise may allow passengers an opportunity to get a look at the newest Disney Vacation Club property, Aulani, scheduled to open in late August, 2011. The rates for this special cruise will start at $1,800/person for an inside stateroom (based on double occupancy). During the summer of 2012, the Wonder will resume its 7-night cruises to Alaska only departing from Seattle instead of Vancouver, B.C. The initial 7-night Alaska cruise will leave the Port of Seattle on May 28, 2012 and include 1 day at sea; Tracy Arm, AK; Skagway, AK; Juneau, AK; Ketchikan, AK; Victoria, B.C. ; and returning to Seattle. Pricing for an inside stateroom will start at $917/person based on double occupancy. 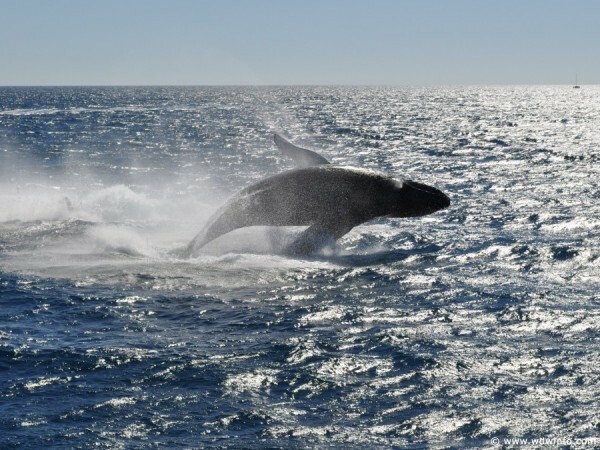 Additional 7-night Alaskan cruises will depart each Monday from 6/4 through 8/27/2012. Following the Alaskan itineraries, the Wonder will reposition to Los Angeles for four special 7-night Pacific Coast cruises. The first sailing will depart Los Angeles on September 16, 2012 and travel to San Francisco (home of the Walt Disney Family Museum), San Diego, and Ensenada, Mexico. Rates for the Pacific Coast itineraries will begin at $770/person for an inside stateroom based on double occupancy. The remaining 3 Pacific Coast sailings will depart each Sunday through October 7, 2012. From October through the end of 2012, the Disney Wonder will continue to offer 7-night Mexican Riviera cruises from the Port of Los Angeles with inside staterooms starting at $707/person based on double occupancy. 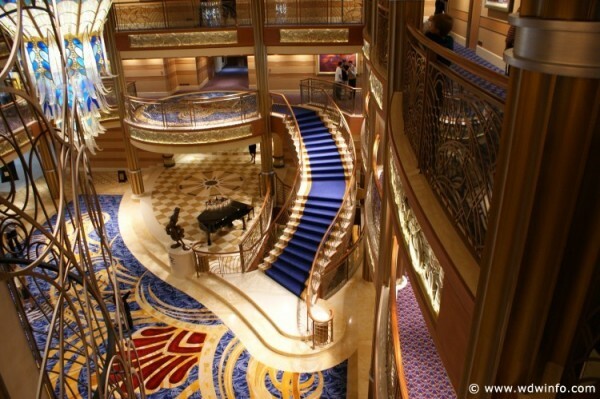 The Disney Fantasy comes online Spring of 2012, and will have her maiden voyage on March 31, 2012. As previously announced, the Fantasy will take over the Magic’s 7-Night Eastern and Western Caribbean Cruises beginning with a Western Caribbean cruise (including stops in Grand Cayman, Costa Maya, Cozumel, and Castaway Cay). Another Western Caribbean Cruise will occur on April 14, 2012 and then the schedule will alternate with Eastern Caribbean Cruises (with stops in St. Maarten, St. Thomas, and Castaway Cay) throughout the year. 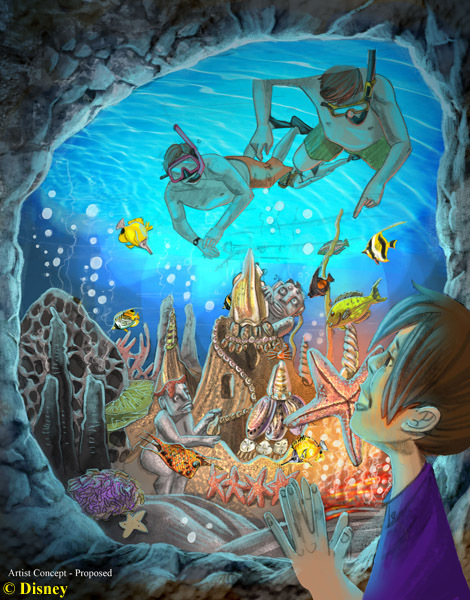 In November and December 2012, special Eastern Caribbean sailings will call upon St. Thomas and San Juan, Puerto Rico. The Disney Dream will continue 3 and 4 night Bahama cruises out of Port Canaveral, FL as well as 5 Night Bahamian sailings with two stops at the very popular Castaway Cay throughout the end of 2012. Now that you’ve seen Disney’s official announcement, what are your thoughts? Are you interested in sailing out of the new ports of New York and Galveston? What about the new cruise destinations to Canada and Hawaii? Are you disappointed to learn there will be no 2012 Disney Cruises to Northern Europe or the Mediterranean? Were you hoping to see some other destination? Leave a comment below, and let us know what you think. 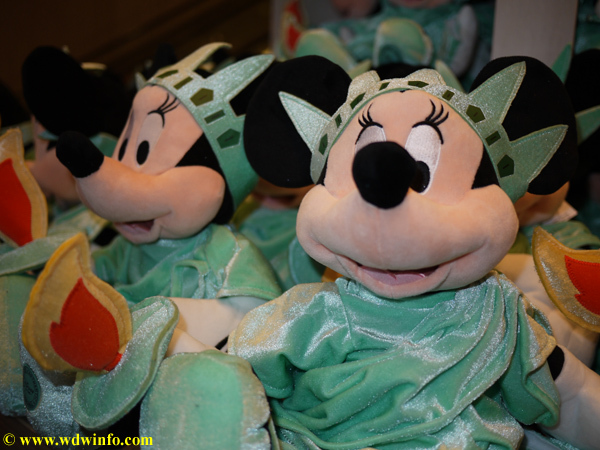 Keep your eye on the DIS and DIS Unplugged for all the up-to-date information from Disney Cruise Line as we get it.